With Thanksgiving just days away, I figured it was time to do a bit of holiday decorating. 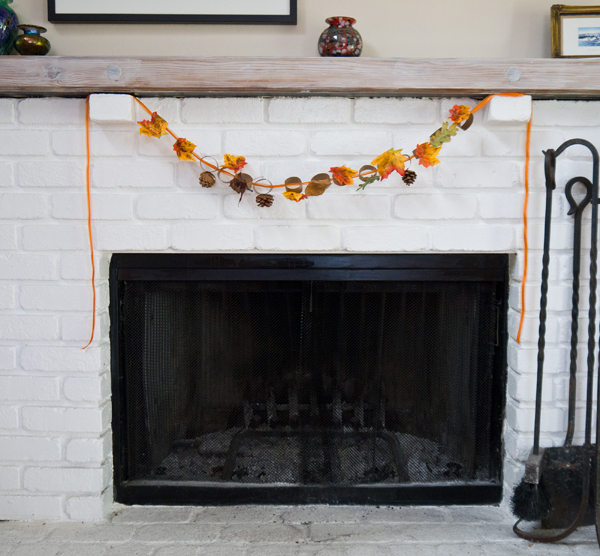 We always have a bountiful collection of toilet paper tubes hanging around just begging to be reused for some sort of crafty activity and came up with the idea to use them for a rustic fall garland. 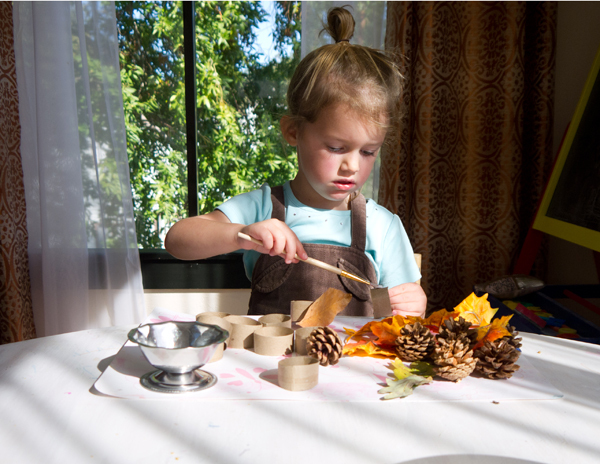 And this project is so easy, making it a perfect craft to do with toddlers — or kids of all ages. 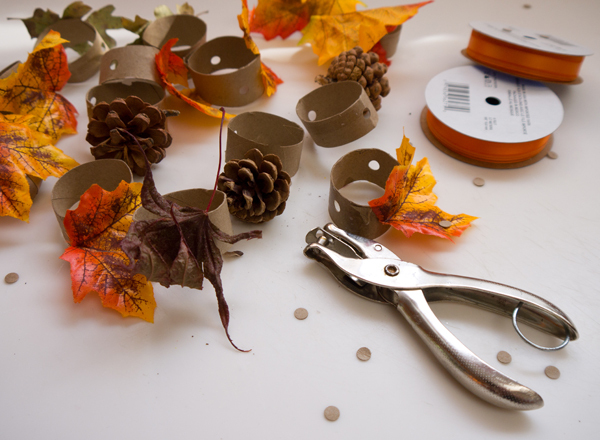 It’s as easy as cutting the tubes into 1-inch sections and glueing on various fall goodies. The tot and I used real leaves and pinecones from the yard along with silk leaves I had hiding in the back of the craft drawer. After letting the glued items dry over night, I popped holes in either side of the cut tube and then we strung with an orange ribbon. 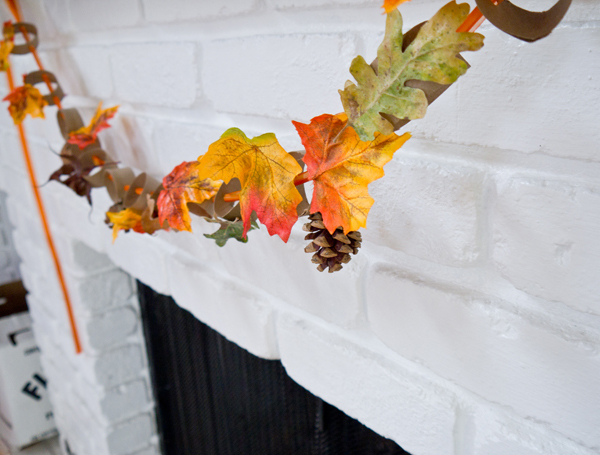 It looks just lovely over the fireplace and has us all in the mood for Thanksgiving. 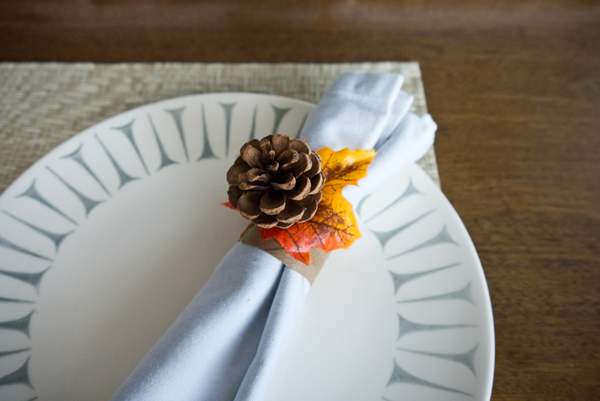 And we discovered that the decorated cut toilet paper tubes also make adorable napkin holders.